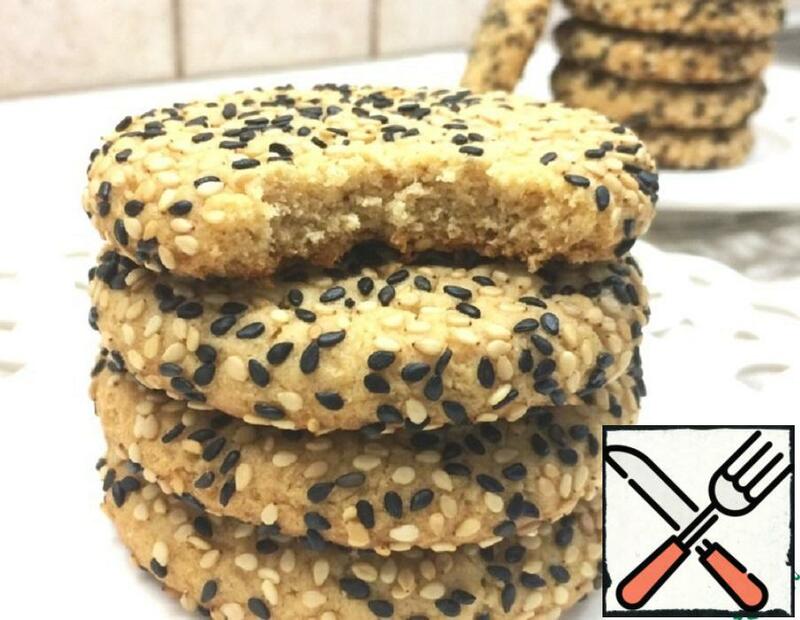 Today I suggest you cook a very tasty and crumbly cookies that taste like halva. Sift the flour Beat the butter with sugar. 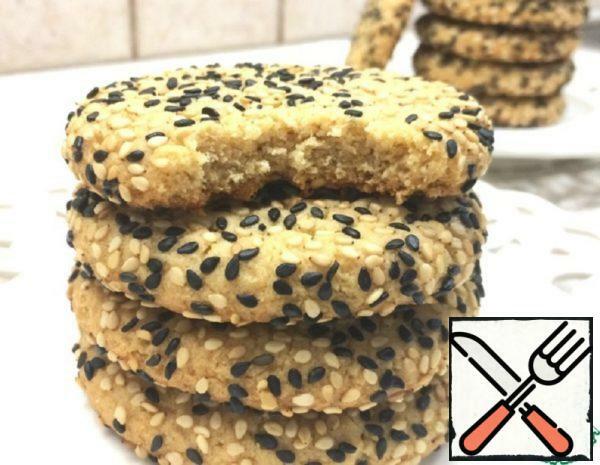 If you do not like very sweet pastries then pour half the sugar Now Add sesame paste, then honey or molasses, Add vanilla extract and mix well. We should get a homogeneous mass. Add flour, baking powder and salt. Stir until smooth. If the dough is watery – then add 1 tablespoon of flour. 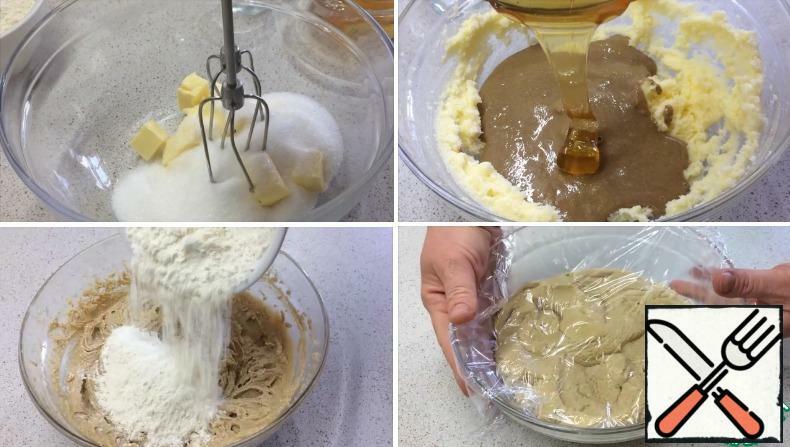 Remove the resulting dough in the refrigerator for 30 minutes covered with cling film. 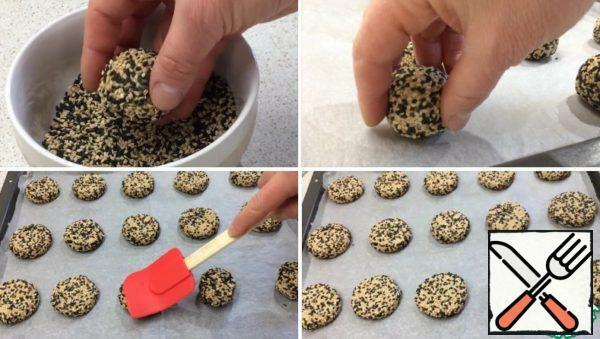 Cookies before baking you need to roll them in sesame seeds I chose two colors that are well mixed together Take out the dough for 1 full teaspoon. 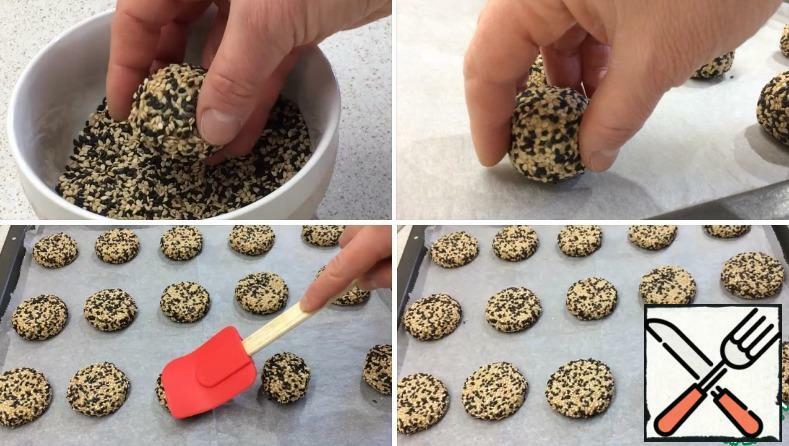 Form a ball, then we need to roll it in sesame seeds Spread on a baking sheet covered with baking paper. Press down each ball with a spatula or the back of the glass. Bake in a well-heated oven to 175 degrees about 10-12 minutes not more. After the oven cookies will be very soft, do not touch, don't let that scare you! But after 10 minutes of cooling seizes, and after complete cooling becomes very brittle and crumbly***Let them cool for 10 minutes on a baking sheet, then transfer to the grill and leave until cool. 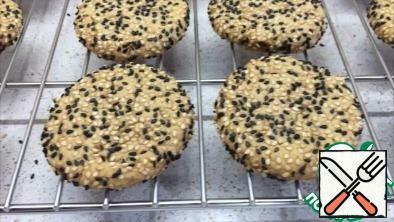 Fragrant cookies are ready, you can call everyone to the table and drink tea.